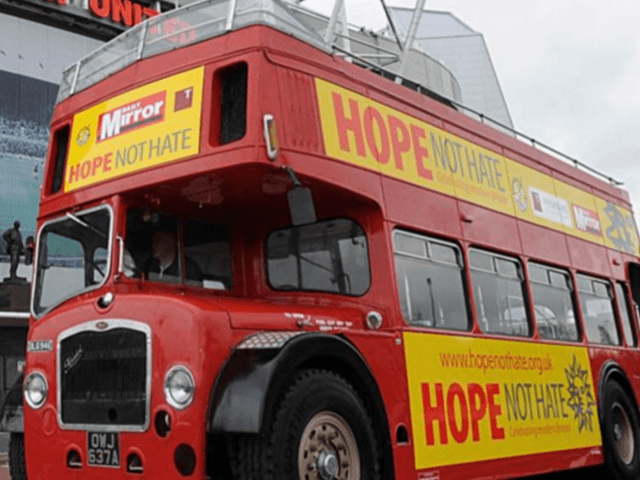 A journalist at the Birmingham Mail has admitted “campaigning” in opposition to PEGIDA UK – the anti-Islamist movement recently launched in the UK. Reporter Neil Elkes has admitted to PEGIDA’s leader Tommy Robinson that his paper had adopted an “editorial line” “against” Mr. Tommy Robinson and his “politics of division” – leading to claims that the paper is prejudging the group before its march in Birmingham on February 6th. While it is common for newspapers – especially papers owned by the Trinity Mirror group – to adopted far-left editorial positions, a recording of a discussion between Mr. Elkes and Mr. Robinson reveals that Mr. Elkes backs Mr. Robinson and PEGIDA’s position on radical Islam, all the while admitting to taking an editorial position against the man and the group. In a bizarre conversation posted to Mr. Robinson’s Facebook page, Mr. Elkes can be heard admitting that he did not approach Mr. Robinson for comment before writing what Mr. Robinson claims are farcical articles about him and the PEGIDA UK group. On the 7th of January the Birmingham Mail reported: “Former EDL leader Tommy Robinson’s new far-right group will be kept OUT of Birmingham city centre during a gathering next month”. However, Mr. Robinson called Mr. Elkes, the Local Government Correspondent for the Birmingham Mail and Birmingham Post, to contest this. He also questioned why the paper had not offered him a right of reply when writing the article and “making allegations against” him. “I just don’t get how the paper can keep running stories without contacting myself for my side of the story,” he insists. Mr. Elkes did not deny that PEGIDA had never applied to walk in the city centre, but argued that there was no need to offer a right of reply, as “we’re talking to Birmingham people about their response to a national figure coming into the area”. “We do have an editorial line that, you know, we don’t agree with your politics of division and so on”, he added. “I left the EDL two years ago and I’ve now set up a completely new organisation”, argued Mr. Robinson, insisting that PEGIDA will hold a “peaceful”, “silent walk”. On the 18th of January, the same paper reported that: “The Bishop of Birmingham and politicians from all parties are urging Brummies to sign a pledge to oppose anti-extremist group Pegida, which plans a demonstration in the city and critics accuse of targeting Muslims”. The “pledge” which the article is base around was set up by the hard left, foreign-funded campaign group Hope Not Hate, an organisation which recently branded a hijab-wearing Muslim woman who campaigns against Shariah law as an “extremist” and worked hand in hand with Unite Against Fascism, whose marches were attended by notorious Islamist hate preacher Anjem Choudary and even the convicted terrorist who beheaded British solider Lee Rigby. The paper also fails to disclose its interests, in that its parent group, Trinity Mirror, has a long working relationship with Hope Not Hate. On January 21st, the Birmingham Mail reported that: “Labour councillor Waseem Zaffar told the far right group leader that the city does not want his divisive ideology paraded”. The two had met at a debate set up by broadcaster Adrian Goldberg for a Radio 4 documentary on PEGIDA. Mr. Robinson complained that the paper had failed to report that Mr. Zaffar insisted during the debate that people have “no right” to “come out and criticise Islam” even if they do so “in a completely peaceful manner”. Mr. Zaffar, “fundamentally stands completely against freedom of speech. Which is what your newspaper should have said – that the local Muslim councilor is against freedom of speech in 2016 in Birmingham. “That’s the true story there, [not] the fact that he’s come out and said that I incite hate”, argued Mr. Robinson. “When [the PEGIDA march] is completely peaceful, completely silent, and we act in a completely orderly fashion… I hope your newspaper will do the common decent thing”, he concluded. “You’ll have to raise that with the editor”, said Mr. Elkes, before ending the conversation. The Birmingham Mail and Mr. Elkes have not responded to Breitbart London’s request for comment on the matter.